How do I override automatic marking? Most assessments are automatically marked, but if you notice marks you would like to change, you have the ability to override them. Select the Assessments tab from your Control Panel. 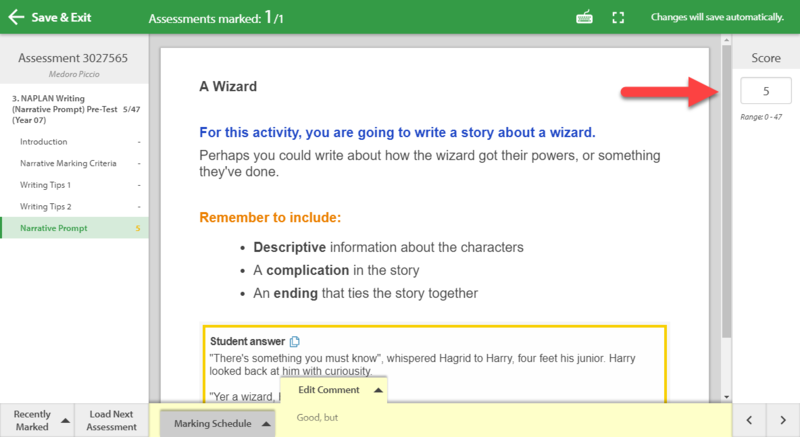 Hover over the assessment you would like to mark and select Marking. Find an assessment that you would like to re-mark and select Mark Assessment. From here, enter an updated score in the sidebar on the right-hand of the page. If your assessment results are set to Finalised, you will need to select the Edit Marks button at the top of the question. If you need to, you can check out the marking criteria for the question by selecting Marking Schedule at the bottom of the page. For some questions, you have the option of adding a partial mark if an answer doesn't fully meet the criteria. 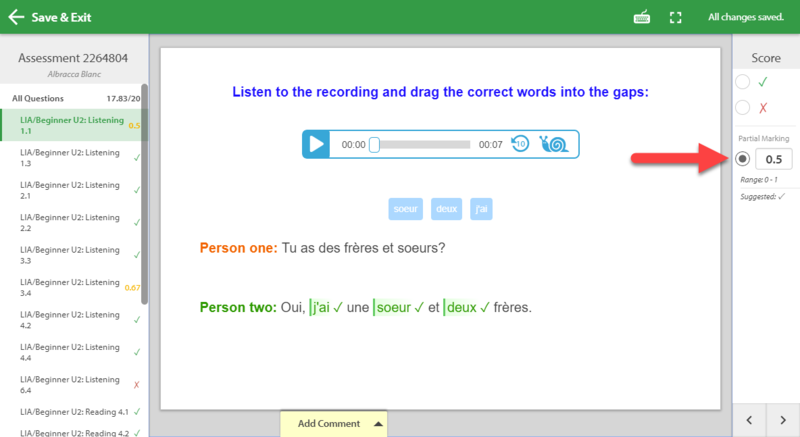 You can also send your student feedback on the answer by using the Add Comment option at the bottom of the page. Once you're done, select Save & Exit at the top of the page.